The release of WordPress 5.0 is almost upon us. In fact, if all goes to plan, the latest version of the platform is scheduled to launch in late November. If you’ve followed WordPress-related news at all over the past year, you’ll likely be aware of why this is considered a huge deal in the community. This is because the release of 5.0 marks the official launch of the new Gutenberg editor, which will go live to all WordPress users. 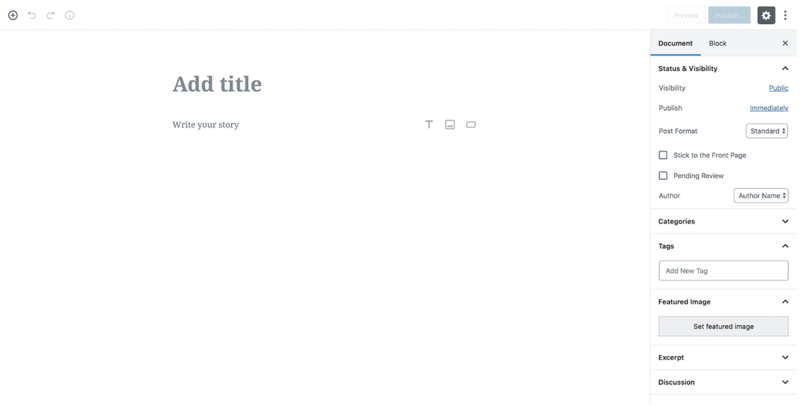 With the new update, the old classic editor will be replaced entirely with Gutenberg. This addition to the WordPress ecosystem has been met with mixed reactions, and it can’t be denied that Gutenberg represents a massive change in how content is created within WordPress. As we mentioned, the current plan is for WordPress 5.0 to be the next version of the platform and it’s scheduled to go live to all users on November 27. If 5.0 is still not ready for launch, it will instead be postponed until January 2019. At this point, we may instead see a 4.9.9 update, which will be devoted mainly to PHP 7.3 implementation. As you can imagine, this means it’s now time to ascertain how WordPress 5.0 will impact your site. You’ll need to prepare both your site and yourself for what’s to come, and a good place to start is by looking at what 5.0 will actually bring. Matt Mullenweg describes WordPress 5.0 as “WordPress 4.9.8 + Gutenberg.” In other words, if you currently have the latest version of WordPress installed and the Gutenberg beta plugin, your site won’t actually change too much when 5.0 rolls around. Naturally, Gutenberg finally replacing the classic editor (and relegating it to a plugin) is the big news here. However, the new editor itself has recently received a fresh coat of paint in the form of Gutenberg 4.0. While not a massive overhaul, this version adds several new features, including image color overlays, and an updated font size picker. The release of WordPress 5.0 also isn’t the end to the changes in store for the platform. Matt Mullenweg recently announced ‘Phase 2’ of the project, which will be the next step towards implementing Gutenberg across every aspect of WordPress. While the editor is currently solely used to manage posts and pages, the developers are aiming for it to become a fully-featured site builder in the future. This means elements like widgets and menus will ultimately be replaced with Gutenberg blocks. We’ve already emphasized the importance of being prepared for the new era of WordPress. In this section, we’re going to show you how you can get started and what aspects of your site are most important to keep an eye on. Let’s get to work! Gutenberg is only a few weeks away from leaving beta, but this doesn’t mean you can’t get acquainted with it already. In fact, you can download the Gutenberg beta plugin and start testing it on your site right now. We recommend testing the plugin out while you can, since it will let you become comfortable with the new interface ahead of time. It also gives you the opportunity to make sure your site plays nice with the new theme. For instance, if there are any compatibility issues, you’ll want to spot them as early as possible in order to fix them before 5.0 goes live. This is an official plugin that enables you to test different aspects of your site with Gutenberg in order to help the transition into 5.0 become smoother. 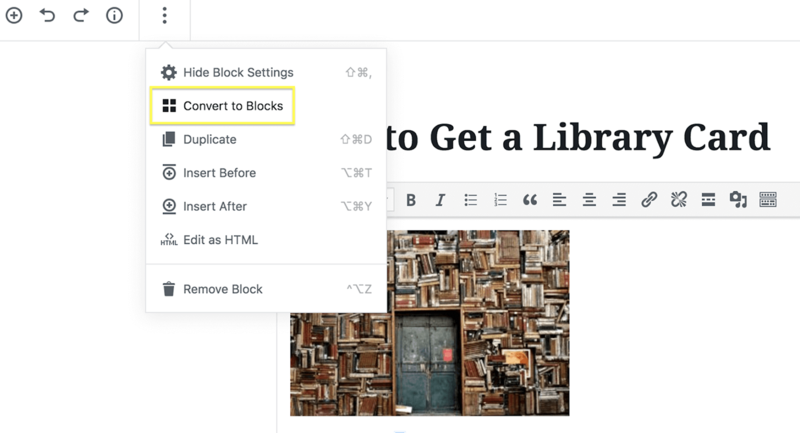 This plugin lets you specify when you want to use Gutenberg. For example, you can set it so Gutenberg is only used on specific post types or even certain post IDs. By using these plugins, you can test your site thoroughly, while also gaining an understanding of how the new editor works. This way, you’ll be prepared for anything WordPress 5.0 can throw at you. 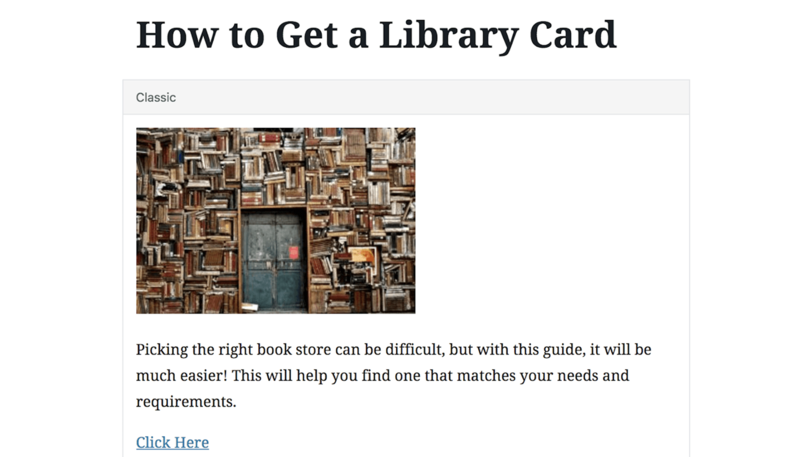 We’ve mentioned that it’s possible to experience compatibility issues with Gutenberg, so let’s look at these in more detail. Many theme developers have already worked on ensuring their themes will be fully compatible once 5.0 launches, but you should take the time to check whether yours is one of them. If you’re using a theme not compatible with Gutenberg, it will most likely still function, albeit with potentially restricted functionality. For example, a non-compatible theme won’t be able to use the new full-width and wide alignment options. This will primarily affect themes that have become outdated or abandoned. If this is the case for your theme, you should look for a replacement immediately. As we mentioned, many developers have already updated their themes for Gutenberg-compatibility. Finding a suitable alternative shouldn’t be difficult, regardless of your site’s niche. For example, there are plenty of compatible WordPress business themes ready to go for the future of WordPress. These considerations also apply to plugins. As with themes, most plugin developers have worked hard on bringing their projects up-to-speed with Gutenberg, but we recommend you check yours to make sure they’re compatible. Unfortunately, there’s no longer an easy way to do so. You used to be able to check the Gutenberg Plugin Compatibility project, which gave you a complete list of compatible plugins. However, you’ll now need to double- and triple-check your chosen plugins on a suitable staging site. Alternatively, you can see what plugin developers are getting up to with regards to Gutenberg. As you’ll see, the most popular WordPress gallery plugin is already finalizing their block. That’s just one example of Gutenberg adoption in the wild. If you’re familiar with Gutenberg, you’ll already know about Gutenberg blocks. If you need a refresher, blocks are what you’ll use to structure content, and all content will have to be added using a dedicated block element. As such, you can still keep your content looking like it always did, while still taking full advantage of Gutenberg’s enhanced functionality! The old WordPress editor has served millions of users well over the years. As such, it could naturally be difficult to make a change that seemingly throws everything you know out the window. However, by knowing how WordPress 5.0 and Gutenberg will affect your site, you can prepare in advance to avoid a painful transition. Whether you’re ready or not, Gutenberg is coming to WordPress. If you are not yet ready for the transition, you can install the Classic Editor plugin, and keep the familiar interface for a while longer. However, we strongly advise that you consider setting up a staging area and testing your current website setup with the new Gutenberg editor so you can find any needed plugin replacements and be prepared when WordPress 5.0 arrives. 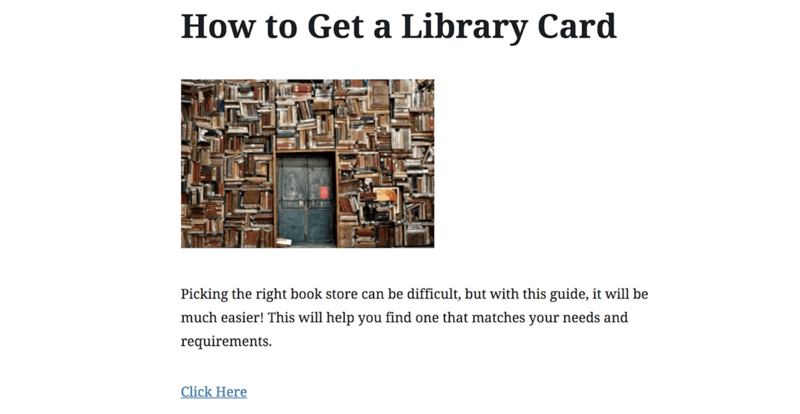 Test your site with Gutenberg immediately. Make sure your themes and plugins are Gutenberg compatible. Prepare your existing content for ‘blocks’. Do you have any questions about making your site ready for WordPress 5.0? Let us know in the comments section below! Ugh. Can you hear me screaming over there? I don’t want to play with blocks. I use wordpress for a lot of sites because it’s easier for clients who don’t know html to edit their own sites. Now I don’t even know if that’s going to be true because it just took me 45 minutes to make a 5 minute edit. I hope the plugins that restore the classic editor work. 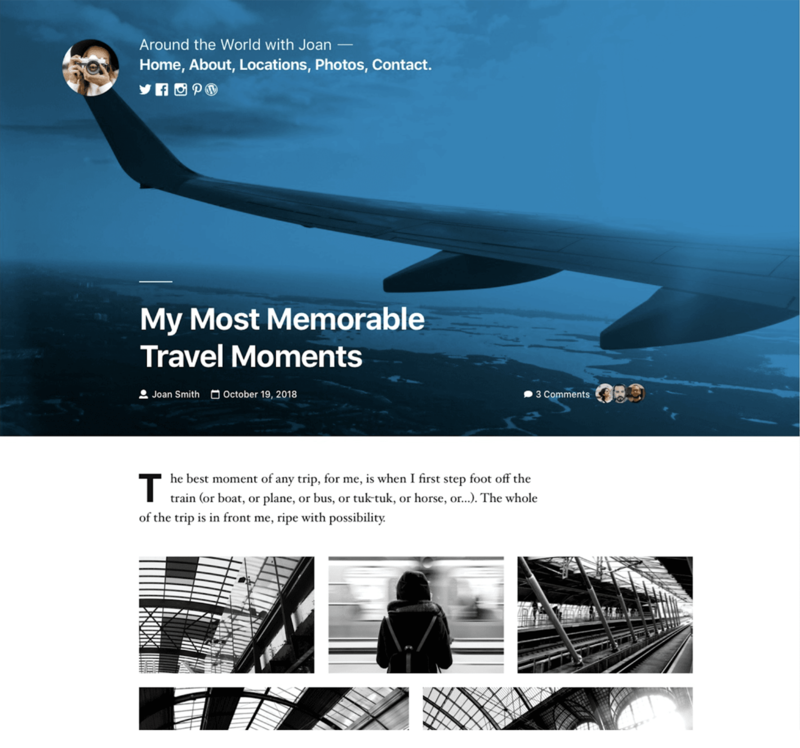 This new wordpress update has damaged so many things on my blog….I really don’t appreciate wordpress 5!! Although, I understand where they are headed with blocks etc. The system sadly frustrating. Is there any way to turn off the autosave function as that seems to continually stop workflow and require multiple steps. I’m not sure there is, although I may have missed that option. I’m sure you’ll get a grasp of what’s on offer by poking around in the settings. Alternatively, you can post to the support forum at the official WordPress website. Gutenberg is now launched and already two plugins for it have failed. Also, I have many clients and many sites. Including one for a blogger who is blind. I cannot even begin to think about training my sited clients on this monstrosity, never mind a visually impaired person who requires assessibility software and hardware. Where were the considerations for assessibility? Even the simplest tasks of sizing floating and image requires multiple steps. Really poor.. I was expecting much more something like a fully featured page builder. Redo and Rethink WordPress for this? For an obscene builder? The worst one of this category? I’m not a fun of page-builder because I do not like to bind my works to a single plugin so usually use pure html and css or bootstrap class as developer. For simple page and article the old WordPress approach was just great!!! as user. Maybe I agree with the main plain: to help user. As developer Gutenberg is useless, I was looking to have a ‘native page builder’ inside WordPress, but this solution is just just a crap. It’s great to see a more objective look at the Gutenberg transition. There’s so much hysteria, and not enough solid info on how to deal with legitimate issues the transition will bring. After experiencing no issues with local tests, I got crazy and put the Gutenberg plugin on my live site a few versions ago. It was a mistake with repercussions I didn’t realize until it was too late. The only way out seems to be rebuilding the site from a clean install of everything. That’s not something I can get to for a few more weeks, so in the meantime my site has been suffering with slower load times and an inability to edit posts. Due to being overwhelmed with work, I haven’t kept up with Gutenberg info and completely missed that Gutenberg Ramp was available. With the help of Gutenberg Ramp, I’m now selectively loading Gutenberg and performance (while not perfect) has improved significantly. Thanks for mentioning it, Tom, and for the rest of the info in this post. I appreciate it! Thank you so much for this! Can’t tell you how much I appreciate this article! Yes, Don’t update to the Mess that is Gutenberg. While it’s true that there are still issues with Gutenberg, I don’t necessarily agree that reviews alone are a good enough measure of quality. After all, many of those 1 stars are not written in good faith. Regardless, there are always options for those that absolutely do not want Gutenberg (at least for the time being) such as the Classic Editor plugin, and the ClassicPress fork. Gutenberg has been one of the most interesting things to see played out in the wordpress community thank you for this comprehensive guide! I’m glad you liked the guide, Xavier! I can only agree that it’s a very fascinating time, and it will be even more interesting to follow how the community will take to the editor from here on.